Tim Schuster offers three observations to help you focus on ethical sales practices at the crossroads of business and ministry. As a pastor, I will sometimes ask other pastors, “How is business?” Though I mean this in good fun, I think we all intuitively feel that something rings true concerning the intersection of ministry and business. Any enterprise with money-in and money-out has a “business side” of things, but does business have to be “creepy?” In this post I offer three observations that help me and countless others at the crossroads of business and ministry. I focus on ethical sales practices in all that I do. The story of Scripture speaks of peace and wholeness, a picture of heaven painted with imagery of the “oikos.” This Greek word for “household” is the basis of our modern word for economy. The household was a place where needs were met in a trusting environment. Isaiah 65 speaks of new heavens and a new earth to describe a world of “houses” where all needs are met. The ancient people of God operated in a barter economy. Everyone contributed their portion, trading and selling in a carefully balanced system of give and take, all of which was governed by trust. Everyone needed what the other had to offer. An economy is a people who seek the distribution of goods and services with integrity and creativity – where everyone’s needs are met. Business is a sacred, ancient profession, and we hope to continue in that tradition of trust, creativity, and relationship. Do This: Read Wayne Grudem’s Business for the Glory of God and Mark Sheerin’s award-winning essay, Why I Left World Vision for Finance. They can smell your desperation a mile away. 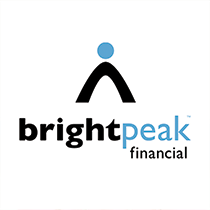 When we start new Financial Guides at brightpeak, we do so with the understanding that it takes time, persistence, and a willingness to learn how to build a lasting business. We build these things on trust. It can be rough in the early months, so we advise FG’s to approach it with patience. The fruit of persistence and patience is the long-term viability of a business built on trust and integrity. Plus, who wants to smell like desperation? Do This: Interview three professionals, entrepreneurs, or leaders you trust and ask them about how and when they’ve seen the value of patience. Ask them how they balance urgency and importance with trust and integrity. Entrepreneurship is “the pursuit of opportunity without regard to resources currently controlled.” I should attribute that last sentence to someone but have no idea where it’s from. If it’s you, lunch is on me. We thrive as communities when the visionary images from our imaginations extend beyond the limitations of what we can see in the now. There is a story on the first page of the Bible in which God creates everything out of nothing. Then God creates humans to do the same thing. Translation: We’re wired us to create things regardless of whether or not it “works.” These activities turn into a sacrifice, and we are now squarely in the realm of adventure and generosity. Business is generous. The thing-behind-the-thing of entrepreneurship is often a strong motivating force. Businesses built on the backs of a strong missional motivation to change the world and do something “bigger than me” always have a motivating factor far beyond financial kickbacks and prestige. Your business is generous when you know your “why”. What other ethical sales practices do you wish people followed? Do This: Watch these two TED Talks by Simon Sinek and Daniel Pink.